No Fireworks Night display has ever been incandescent for a full 45 minutes, but 'As Fools We Are' has its moments of wonder. 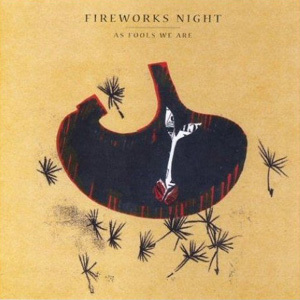 No Fireworks Night display has ever been incandescent for a full 45 minutes, but 'As Fools We Are' has its moments of wonder: 'Dirty Acts Done Publicly' is combustible, grubby and noirish, fairground instrumental 'The Empty Orchestra' is charmingly woozy, and single 'When We Fell Through The Ice' matches Mr Hudson for vaudevillian verve. But there are moments that'll leave you wondering, too: 'Favours For Favours' is lo-fi to the point of anaemia, 'Rewards, Rewards, Rewards' is a folked-up farrago, and, in 'Black Eye', James Lesslie initially sings like he's mid-dinner. That the London-based collective appear inspired by similarly populous outfits as diverse as Lambchop and The Divine Comedy is encouraging, but all too often they simply fail to ignite.